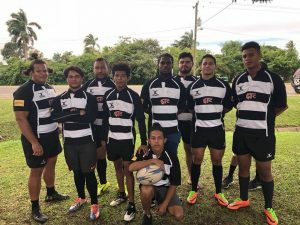 Posted by Administrator on April 6, 2018. 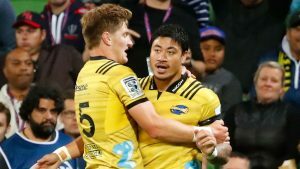 (Hurricanes vs Rebels), we take a look at who he joins as part of the Super Rugby Four-Tries Club, the few who have scored four tries in a match since the beginning of Super 12 in 1996. 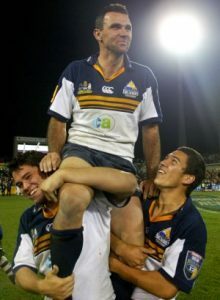 Joe Roff (Brumbies) was the inaugural member of the Super Rugby Four-Tries Club when he scored four tries versus the Sharks on 29 March, 1996. Almost a year later, on 8 March 1997, Gavin Lawless who incidentally was playing for the Sharks scored four tries against the Highlanders. Another Sharks player, Stefan Terblanche scored four tries on 25 April 1998 against Chiefs. Blues player Joeli Vidiri crossed the line four tries against the Bulls some two years later on 22 April 2000. The charismatic Blues’ Doug Howlett scored four tries playing the Hurricanes 22 February 2002. And Mils Muliaina rounds up the hattrick of Blues players scoring four tries against the Bulls just a couple of months later on 19 April 2002. 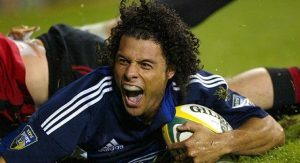 Crusaders’ Caleb Ralph scored four tries against the Waratahs a month later on 11 May 2002. A year later however, Waratahs Drew Mitchell picked up the momentum by scoring four tries against the Lions on 12 March 2010. Just one day shy of one year later, on 11 March 2011, Crusader Sean Maitland crossed the line four times against the Brumbies. 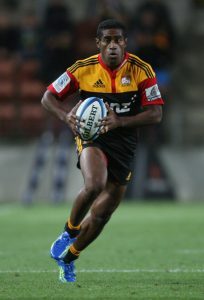 Another Chiefs joined the club when Asaeli Tikoirotuma scored four tries against the Blues on 2 June 2012. 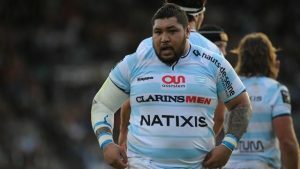 Almost four years later, it was another Chiefs player, Charlie Ngatai who scored four against the Western Force on 26 March 2016. Stormers Huw Jones scored four tries a few months later against the Kings, on 16 July 2016. 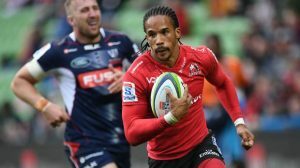 Lions star winger Courtnall Skosan scored four tries against the Reds on 18 March 2017, and of course the latest player to achieve this feat. 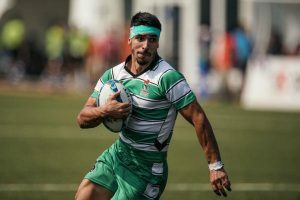 Ben Lam scores four tries against The Melbourne Rebels on 30 March 2018. Fifteen players have achieved the feat of scoring four tries in a Super Rugby match… who will be next?